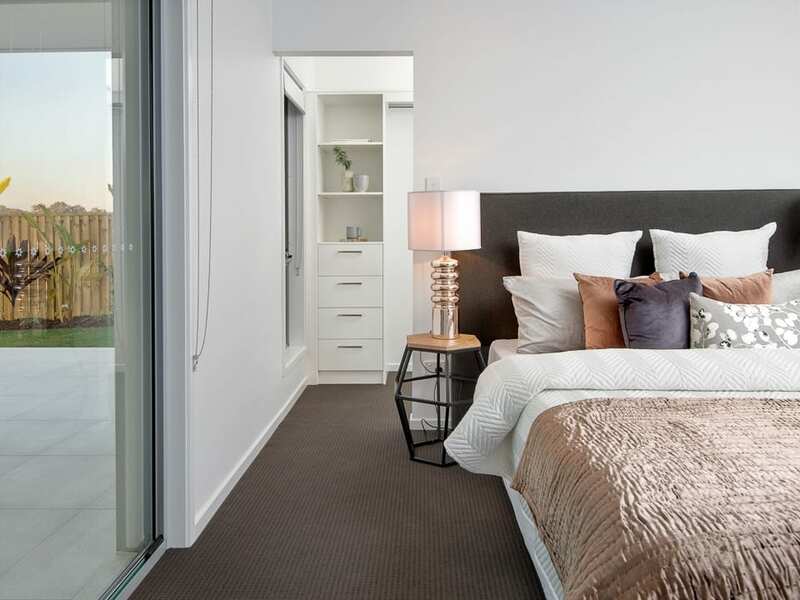 Why First Home Buyers Love North Harbour’s House and Land Packages! We appreciate that the prospect of buying a house “off the plan” can be daunting, particularly if you haven’t purchased a house and land package before so below is an idea of the timeline to expect and some tips to consider before buying property, particularly if this your first home. Step 1: Visit the North Harbour Sales & Information Centre and review our available land for purchase. Once you have chosen your block (on its own or as part of a house and land package) we will hold it for 48 hours without deposit. After two days we will call you to confirm that you wish to proceed. If you want to go ahead, we will ask you for some further details (full names of buyers and your solicitor) to enable us to prepare the contract. An appointment is made to sign the offer to purchase in the following week when all parties are available. After the buyer/s have completed the offer to purchase, it is then signed by the Developer (us) and sent to our solicitor. At this point the $5,000 deposit is payable. Things to note in Step 1: North Harbour as the developer sells the land (block). Once you have chosen your block you then need to choose the style of house you would like to put on there – you can do this by choosing one of our pre-approved house packages and building with one of our Display Village builders such as Sunvista who are showcased below, or you are free to choose a different builder. BUT any home you choose must adhere to the North Harbour design guidelines and must be suitable for your block. Double-check what you can and can’t have on the block you choose. House packages come with a variety of inclusions from basic requirements up to marble benchtops and top of the range cookers. Each builder offers a range of different packages to suit a range of needs and budgets. Step 2: The purchaser has 14 days to secure finance. You will need to speak to a mortgage advisor or your chosen bank to secure finance. If finance is declined, the $5,000 deposit is fully refundable. $5,000 is held in Trust with our solicitor until settlement – which will occur 14 days after registration of titles. Step 3: Registration normally takes place 1 – 3 months after the release of a new stage Registration can be delayed due to inclement weather affecting the civil works and is also subject to council approval timelines. Once plan sealing is through council, it can then go to titles office to register. Once registered, we will call the buyer to inform them of registration and they will also receive notification from their solicitor and a settlement date. Things to note in step 3: This step is outside the control of the developer as it is subject to council approval timelines. It can be subject to delays – we do our best to mitigate any delays, but it is not always possible. Step 4: Once settled, your builder can start building your new home. Things to remember: Contact Opticomm https://www.opticomm.net.au/ to get your broadband set up so you can join North Harbour’s fibre optic network and get access to Australia’s Fastest Broadband, your builder will organise for your gas to be connected to our reticulated gas system. Imagine owning an impressive custom-designed home in the sought-after North Harbour in South East Queensland. 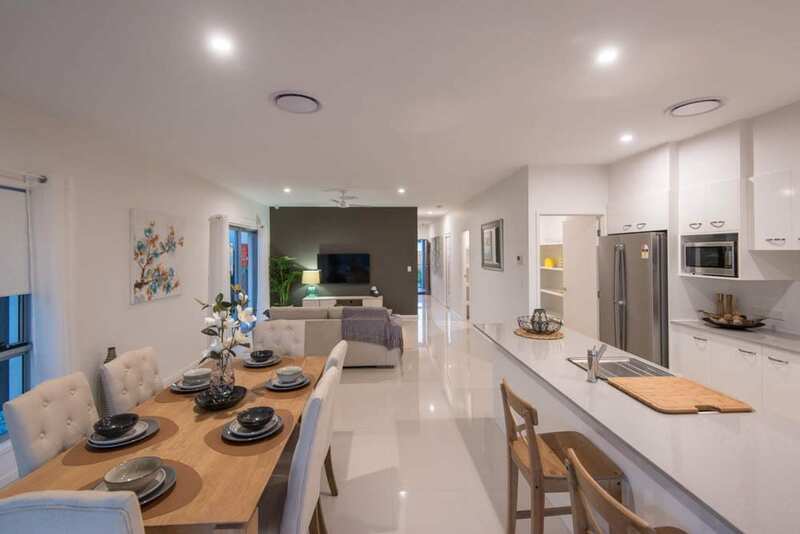 Sunvista Homes have been building quality homes throughout Brisbane for over 26 years and are pleased to introduce our latest design, the Sanctuary. 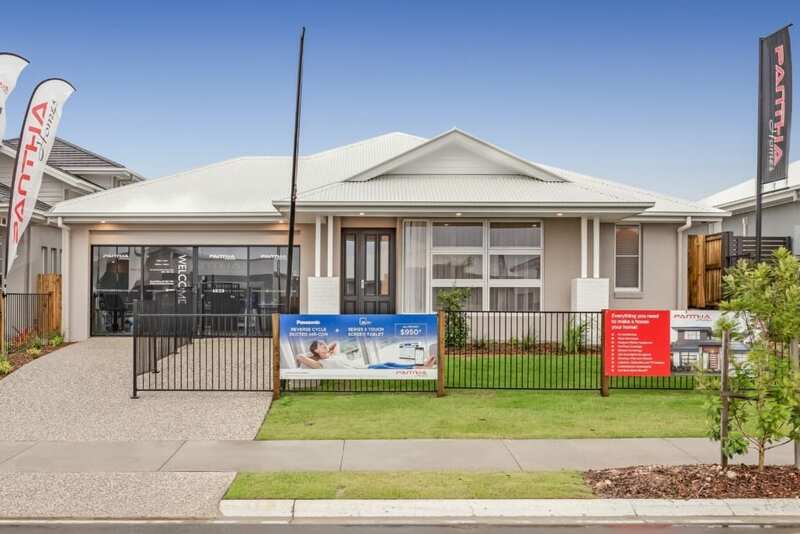 Now open for viewing at the corner of Newton and Pelorus Street, Burpengary East, this home meets every wish, from immaculate style, detail in design plus all the creature comforts and modern features buyers are looking for. 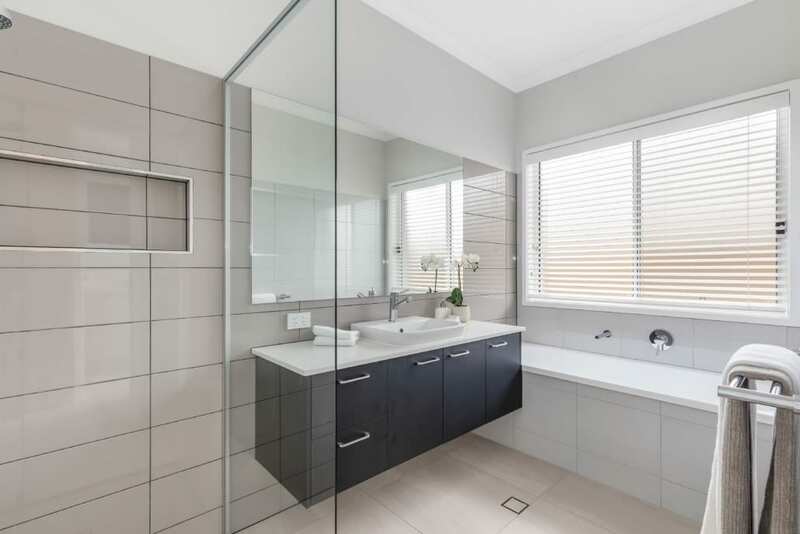 When deciding to build, firstly consider the most important design elements you want to see in that home: a butler’s pantry, an immense master bedroom with ensuite, spacious kitchen, open plan family room leading out to a grand outdoor room, separate living or Media areas, Sunvista homes can assist with making this dream come true. The boutique building experience at an affordable price. On top of this impressive design element you will be impressed with the TLC you receive throughout the complete building process. Our Display house sales consultant; Cheryl takes pride in providing the boutique building experience for her clients and this same top customer service mentality is revealed from all Sunvista Homes staff throughout the building process to make every step imaginable from design, construction, and handover, as simple as possible for buyers. The Sunvista Homes team are transparent in the overall pricing of each new home, buyers know exactly what to expect from the onset. 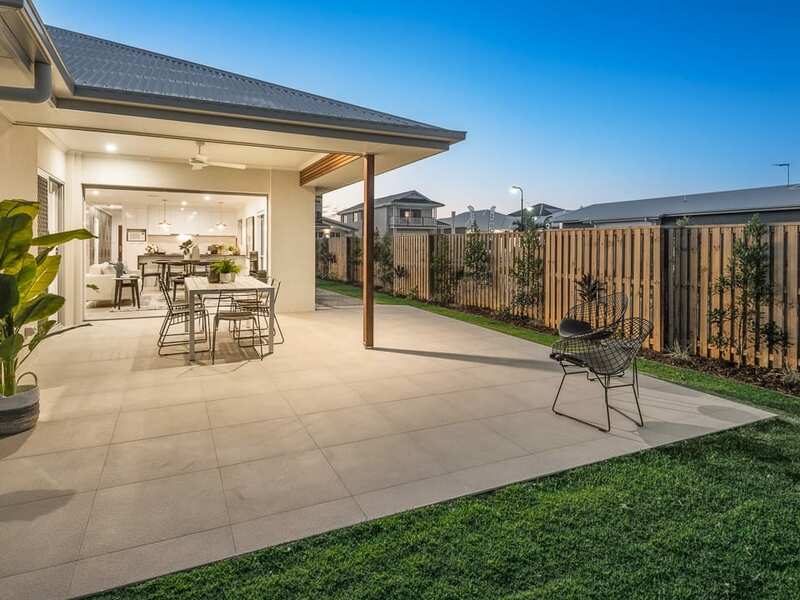 The fact that we offer a full turnkey solution so you have the peace of mind that everything is included and at handover you can move straight in knowing everything has been completed including landscaping, letterbox, clothesline and much more. We give our clients a complete list of inclusions, so they can understand the breakdown of their home’s construction. 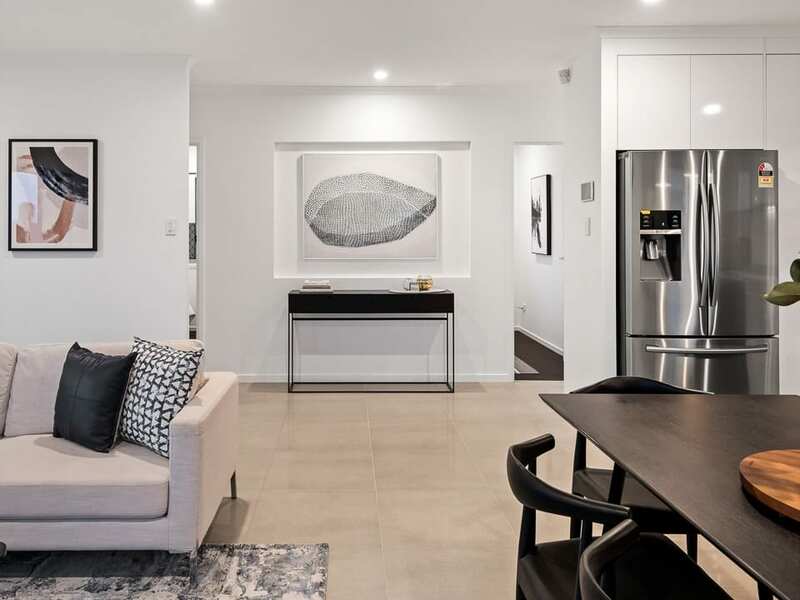 What does the Sanctuary design display home at North Harbour feature? The Sanctuary design is a four-bedroom, alfresco style home has everything a buyer could look for. The four-bedroom, two-bathroom floorplan is designed to suit a smaller block of land. A huge master-suit and media room are just some of the included features. 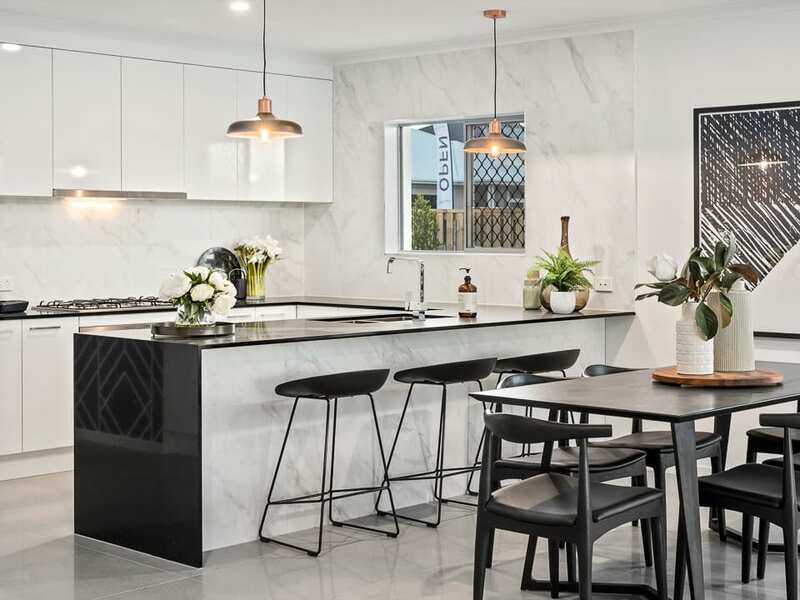 The massive kitchen is the perfect space for a gourmet cook to create a meal delicious meal for the family, or for entertaining for larger groups. Maybe this Sanctuary design which is showcased at North Harbour is what you’re looking for, or you’re interested in your own custom-designed home either way, Sunvista Homes is the builder to call. Our honesty, reasonable pricing, friendly service and professionalism is just the beginning of what you can expect when working with our the Sunvista homes team! Want to take the first step to living the in the home you’ve dream of? 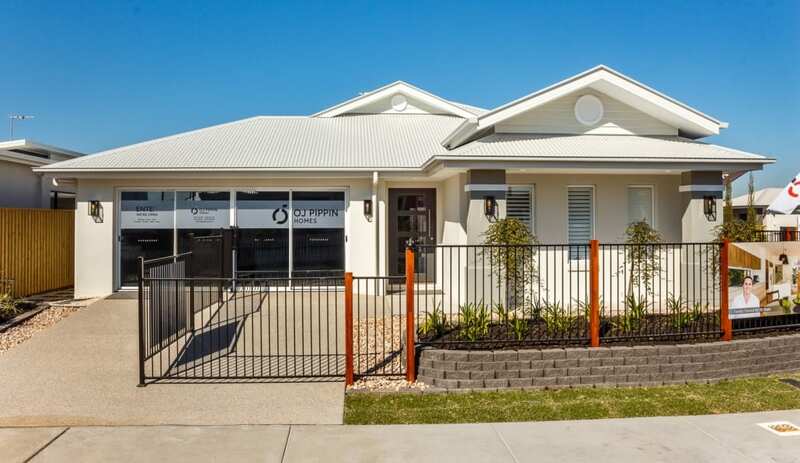 Contact our friendly display home team – call 0424 759 431 or email sales@sunvistahomes.com.au. North Harbour’s Sales and Information Centre & Display Village with café and two playgrounds is open seven days a week, 10am-5pm. 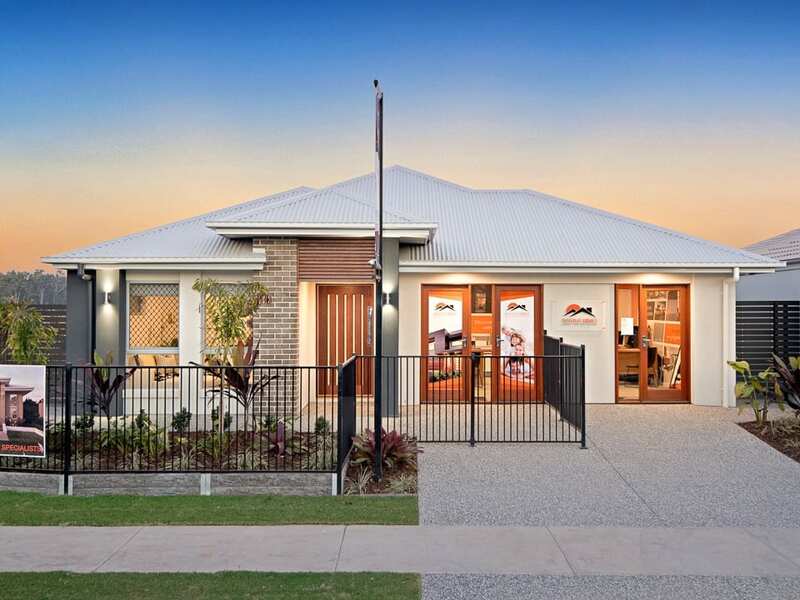 Located on the corner of Buckley Road and Fraser Drive, Burpengary East, the Display Village showcases 33 brand new homes designs from 17 of Australia’s best builders including Sunvista. 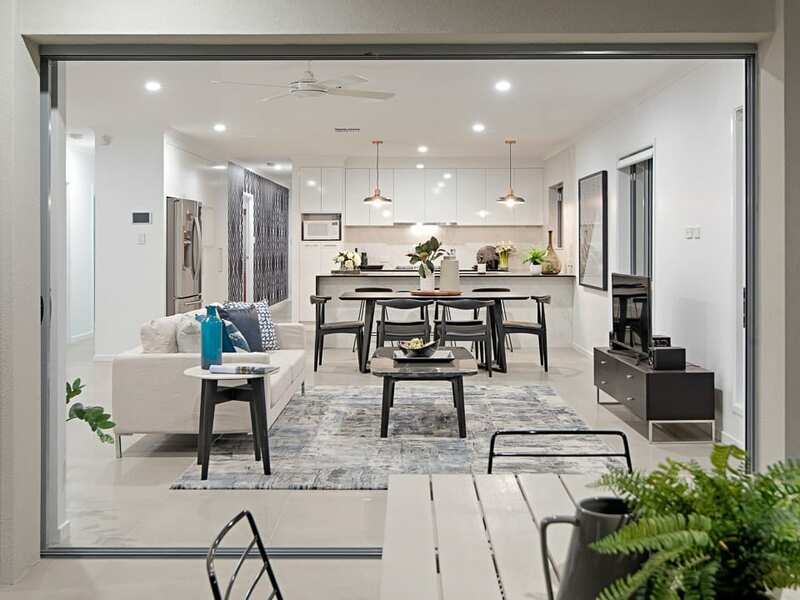 North Harbour recently won the UDIA Queensland Award for Best Residential Subdivision and is EnviroDevelopment Accredited. For more information on house and land packages at North Harbour, please contact us. https://www.northharbour.com.au/wp-content/uploads/2019/03/dkp_SHNewtonStS-21.jpg 720 960 Client Services https://www.northharbour.com.au/wp-content/uploads/2017/03/North-Harbour-Logo.png Client Services2019-03-07 06:00:592019-03-06 19:43:43Why First Home Buyers Love North Harbour’s House and Land Packages!